“Oh, in all likelihood,” Gianna answered with a mischievous smile. “And hopefully not too surrounded by besotted admirers,” Risa added with knowing smirk. Risa rolled her eyes and snickered, sharply, just one short breath through her nose. The dreadful costume would make no difference. They arrived at the canal entrance to La Fenice in a few more minutes. Risa pushed the boat alongside the opera house’s mooring and grabbed hold of it to steady the boat enough for her friend to clamber out. At least, Risa would have clambered; Gianna always looked halfway to flying. The moment she stepped out onto the dock and bent to straighten her skirt, a few other members of the ballet corps lingering about the doorway turned their heads towards her, raising their long, delicate hands to wave. Risa could hear their previous conversations falter, transitional chords to open their chatter to Gianna’s presence, to add her voice to their melody. “Thank you, Risa! See you tonight!” Gianna called over her shoulder, disappearing into her spotlit world with a flash of a smile and bright blonde hair. For a minute, Risa considered climbing up onto the dock herself, stepping into that spotlight, or taking some of it for herself. For a moment she wondered what it might be like to have everyone feel her presence in that soft, subtle way they felt Gianna’s. But she held on to her place in the shadows just a little too long, as always, and instead pushed her little boat away from the opera house. What need did she have of a spotlight, in any case? She had business to attend to, and her business invariably needed the safety of the shadows to succeed. 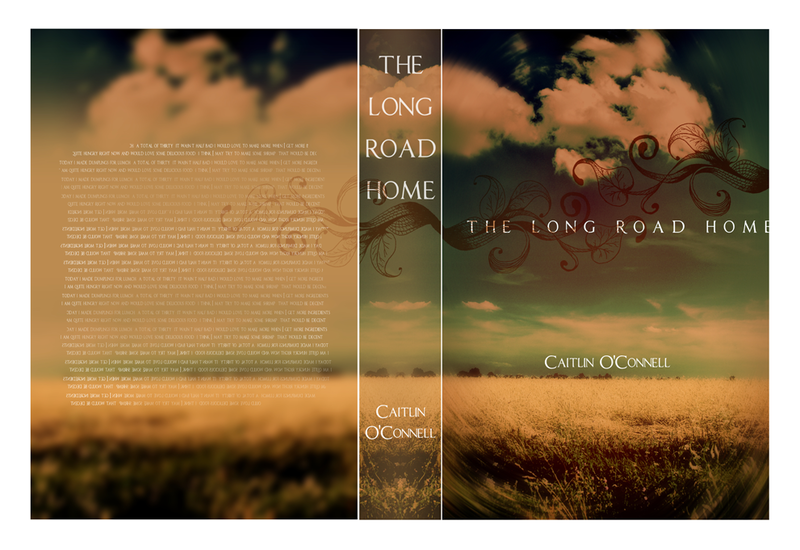 So one of my coworkers asks me a lot about my novel - since she is a joking sort of person she insists that I should write not about the Potato Famine, but a potato version of 50 Shades of Grey, because THAT would sell like crazy (I roll my eyes a lot) - and she offered to make me a book cover. On the (extremely) off chance she WASN'T kidding, I thought she'd come in with some fairly respectable stuff, not, you know, clip art and comic sans, but nothing terribly impressive. Maggie tends to sell herself short in the (very strange) conversations we have between customers. I was in no way expecting something as amazing as this, and I thought it might be fun to share with you! Dear future publisher: This. Please and thank you. I know, right??? I was completely floored when Maggie handed a printout of that to me a few weeks ago. 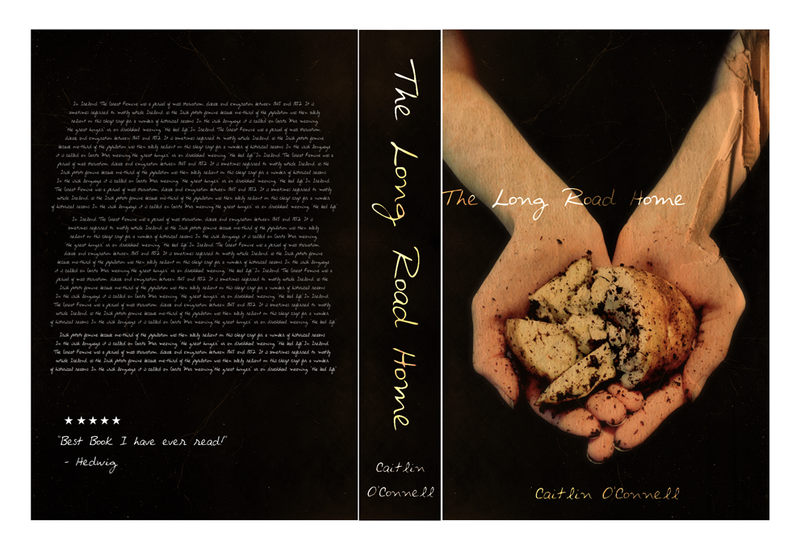 I present: Potato Famine Twilight, complete with blurb from Hedwig. I hope you're all staying warm in this horrific cold! Until next week, fair blog readers. I know I have been remiss in blogging (yet again), so I thought I'd share with you the opening of the project I've just started working on. It's called HONOR AMONG THIEVES and it is about two girls - Risa Nassar and Gianna Agnello - living in Venice in the 19th century, and stealing magical objects from elite Venetians and careless tourists, until one day they steal something very powerful from exactly the wrong person. It starts out like this, and I hope you're intrigued! They’d named her Il Ragno because they’d all assumed such feats of daring could only be accomplished by a grown man, not a wiry girl of seventeen years. But she did not object to the title; that very assumption that Venice’s greatest thief was a man only allowed her all the more freedom. No one would suspect the small, dark-skinned girl in her cloak of shadows, not when they were looking for someone else entirely. No one suspected her that night either, when the mist from the sea muted the moonlight shining on the canals, when the city slept soundly in its crumbling glory. As quietly and quickly as the spider she’d been named for, the girl skittered over the roofs of the palazzi until she’d settled on the one she’d chosen. Il Ragno climbed down the elaborate façade of the palazzo, her hands sure against the small niches and curled ornamentations. A smile pressed the corner of her mouth against the black mask fitted over her face when she saw the window swinging open, the curtain billowing in the salty sea breeze. This was going to be simpler even than she had anticipated. She crept inside, her well-worn leather boots silent against the marble floors. The object she sought was meant to be displayed within easy reach, and there it was, settled on a table without even a bell jar to keep it safe. Don Fransisco must truly be a proud, foolish man indeed to display such a valuable scrying mirror for all the world to see. For the fingers of Il Ragno to take. She closed her fingers around her prize, when a sudden loud footfall caught her attention. A servant boy stood in the doorway, struggling to light a candle and still hold a knife pointed in her direction. But the girl smiled beneath her mask, and she bowed low to the boy, tucking the mirror safely inside her tunic as she did. And then she grasped the edge of her shadow-cloak, pulling it sharply up over her head. And Il Ragno vanished into the night as silently as she’d come, leaving the boy to stare at the space where she’d been and the empty table that had once held his master’s mirror. That's right, guys. 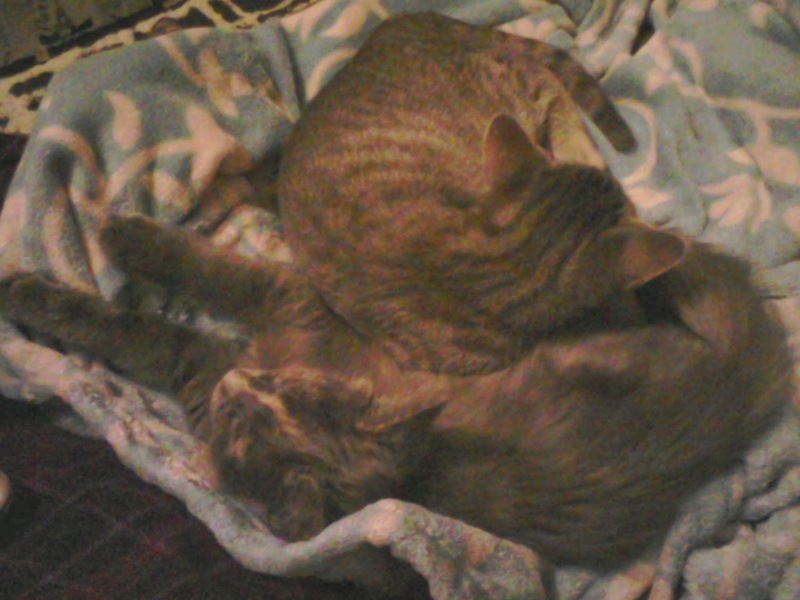 I have a pile of kittens curled up next to me. I had been pretty set on only getting one cat, since I'd assumed that my roommate wouldn't really want one of her own. But then we were presented with this brother-and-sister pair that couldn't be adopted out separately and... well, that was the end of that, really. This is Mr. Darcy, my kitten, and the most photogenic cat in the world. Here he is being appropriately British in a photo I cannot for the life of me turn the right way. Alas. He is SUCH a sweetheart. I have never known a cat as social as he is - he loves meeting new people, which is great since they've already met most of our friends. He loves to be picked up and will happily climb into my lap or Lisa's lap and pin us down for a good hour. He's incredibly adventurous and very intelligent - you can really see the wheels turning when he looks up at high places and tries to calculate what he can jump off of to get up there. He purrs like a truck and meows like a squeaky toy - but really only when he's reminding me that it's dinner time. 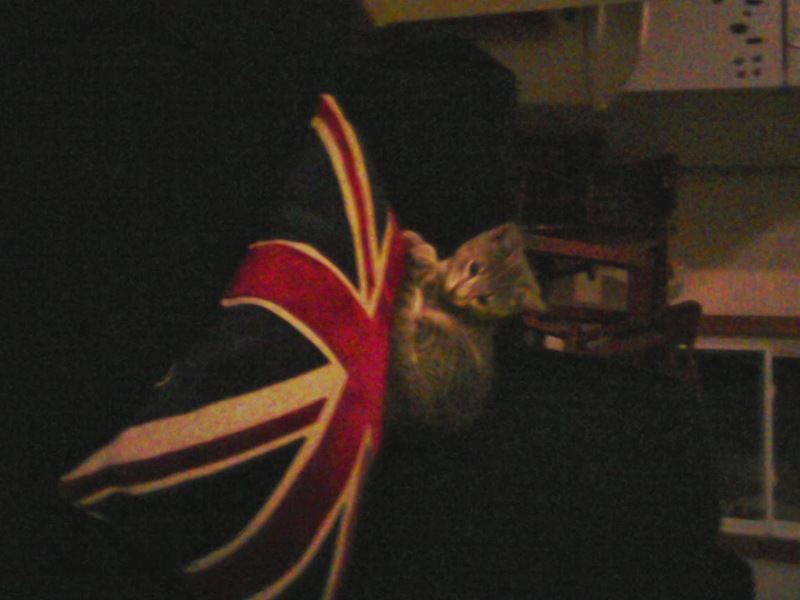 And this is Lisa's kitten, Charlotte (Bronte). Charlotte is the more skittish of the pair and therefore the more difficult to catch on camera. She has two healed breaks in her tail that were there when she arrived at the shelter; our hypothesis is that she was stepped on when she was very young, as she is still a little bit afraid of feet. She's hard to catch and certainly won't crawl unbidden into a newcomer's lap the way Darcy will, but once she gets used to you and if you don't make any sudden movements, she can be just as affectionate as her brother. She also very much likes being under things, which is problematic when she got under my bed the other day. We're trying to keep the kittens out of our bedrooms for now, but she probably would've been perfectly content to hang out there the rest of the night. I am really glad we came home with two. They keep each other company all day while we're at work, and they play games of pounce-on-each-other that last for hours. Our house, it turns out, is a cat jungle gym - they get to climb up and down the kitchen chairs and under the room divider screen and in and out of the staircase. They love it. 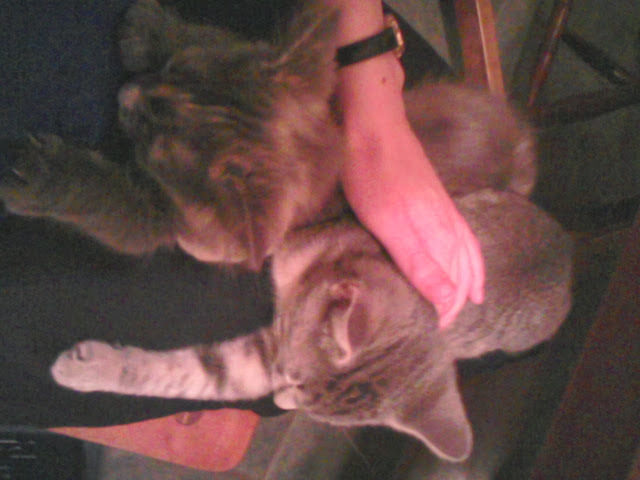 And, the first night we brought them home, they both fell asleep in my lap. It was the most wonderful thing. 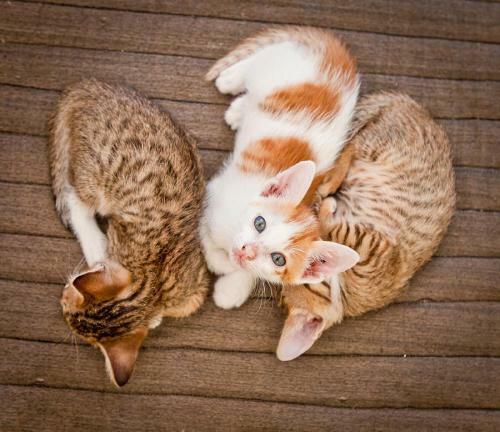 In about three weeks' time, my wonderful roommate Lisa and I are adopting a kitten. But Lisa, wonderful though she is, has spent all her life as a Dog Person. 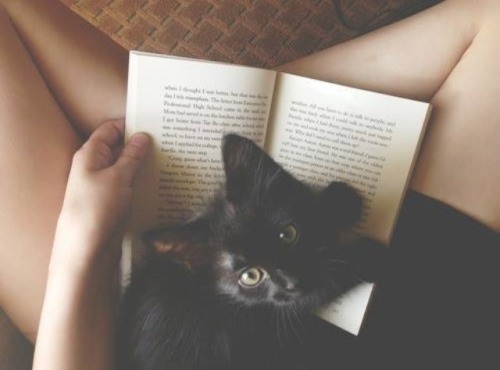 Which means that it is now up to me, a lifelong Cat Person, to instruct her in the ways of cat behavior. 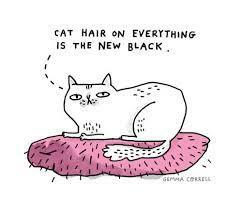 Fortunately, the internet loves few things better than cats. Well, perhaps comparing Benedict Cumberbatch to otters, but that's about it. So I have compiled a handy list of the strange things that cats do to better prepare Lisa for this kitten. 1. 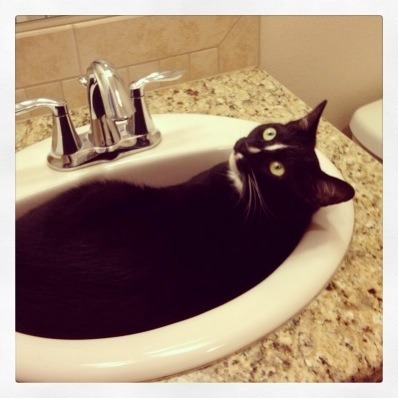 They are strangely fond of sleeping in sinks. 2. Similarly, they are incredibly good at being in places where they do not belong. 3. Boxes are basically cat heaven. 5. Cat hair will get everywhere. I mean everywhere. 6. They are really, really insistent. 7. They tend to think that you've died if you close a door on them. 8. This and other cat idiosyncrasies sometimes make daily tasks rather difficult. 9. I don't know how they do it, but cat paws on top of you almost always feel like elephant feet. Especially when they are unexpected. 10. But let's be real here. They are just. I, for one, am super excited to have cat hair on everything and enjoy the company of a little fuzzy creature again. I think it's going to be pretty awesome.